This set of machine embroidery designs is part of our Christmas Redwork collection. It uses the Redwork technique. The designs will fit the Large hoop (5" x 7"). 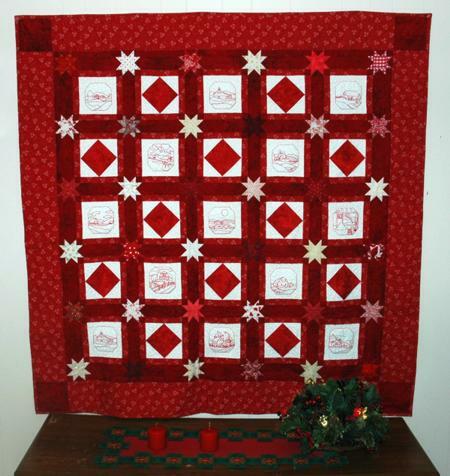 We embroidered each block and assembled them into a Christmas wall hanging. The finished size of it is 15 1/2" x 31".